RIVER PARADISE!!! 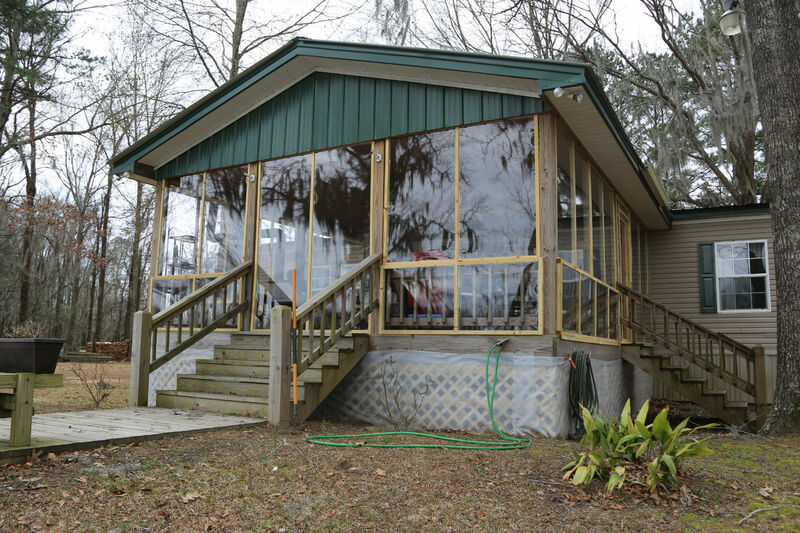 THIS CUSTOM BUILT 2007 MOBILE HOME SITS ON A SHADED WATERFRONT LOT ON THE ALABAMA RIVER. THE INSIDE HAS A BEAUTIFUL GAS LOG FIREPLACE IN THE DEN AREA, A NICE BIG KITCHEN WITH A STATIONARY ISLAND IS QUARTS AND COUNTER TOPS ARE CORIAN WHICH IS A SOLID SURFACE. NEVER HAVE TO MAINTAIN. LOTS OF CABINETS AND PANTRY, DINING AREA AND SEPARAT LIVING ROOM. 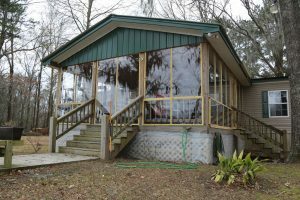 THE MASTER HAS A PERFECT VIEW OF THE RIVER AND HAS WALK IN CLOSET ALONG WITH THE MASTER BATH OFFERING A BIG JETTED TUB AND SEPARATE SIT DOWN SHOWER. THE TWO OTHER BEDROOMS ALSO HAVE WALK IN CLOSETS. THERE IS A BONUS ROOM THAT FRONT THE RIVER (ASK AGENT FOR MORE INFO ON ROOM) AND OPENS OUT TO A WALK WAY DOWN TO THE DOCK AND BOAT HOUSE. ALL APPLIANCES WILL STAY WITH HOME. ALL ELECTRIC AND HAS A METAL ROOF. THERE IS A GENERATOR THAT STAYS WITH THE HOME ALSO.